Do we know if the parking deck is part of the same footprint? Or have they not released that phase yet? 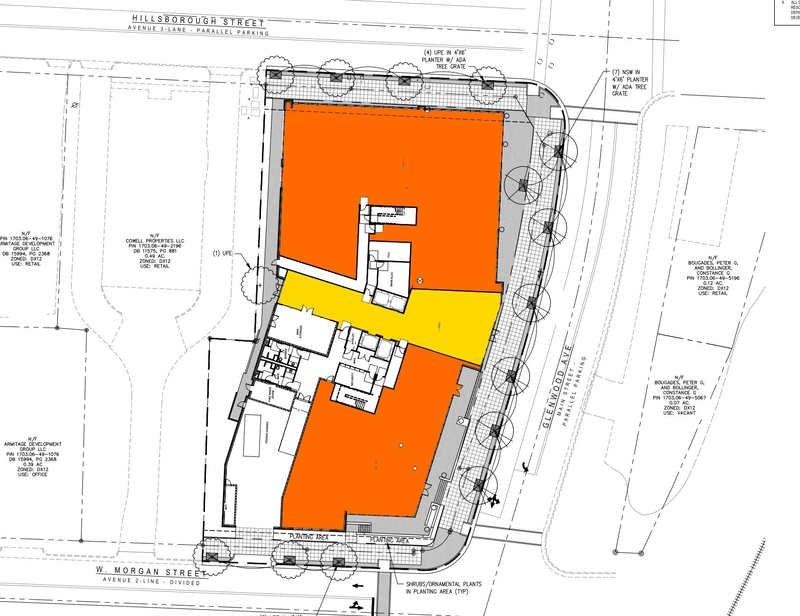 There are a lot of single-story buildings at Morgan and Glenwood that could be turned into something more dense. Steve, no. One Glenwood won’t have any parking. Instead, a deck is planned across the street. Oh! I feel dumb now. I went back and looked at it again. That’s a great spot for a hotel. I wonder how pedestrian access between building and garage will work? A crosswalk? Hopefully a walkway under Morgan or perhaps a sky bridge instead. Really happy to hear of plans for hotel. With some luck hotel will extend above the garage as well as wrapping around it. 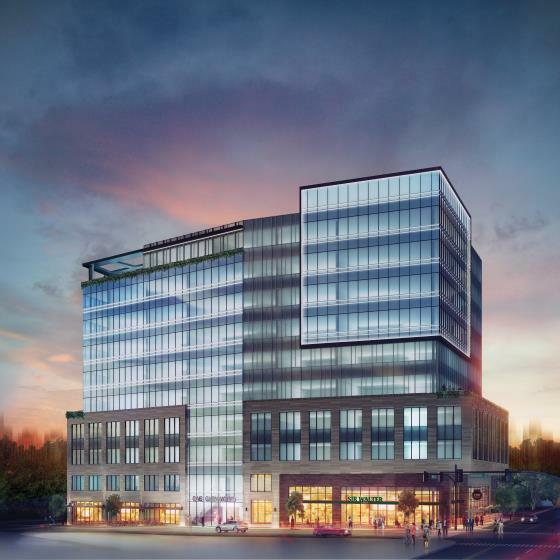 We keep seeing bold plans come out for additional office space even though conditions don’t seem that ripe. The Dillon also comes to mind. I’d hate to see Charter Square North and the Edison delayed any longer but, as the saying goes, the early bird gets the worm. Would love to see a pedestrian ramp/walkway along the east side of the parking deck to help the link from Morgan to Hargett. And to try to provide a more direct link between Glenwood South and Union Station & Warehouse District. However, IMO, the best location for a high-rise would be the Enterprise lot. We’ll have to see what that hotel developer will do with it. Fingers crossed. Agreed. 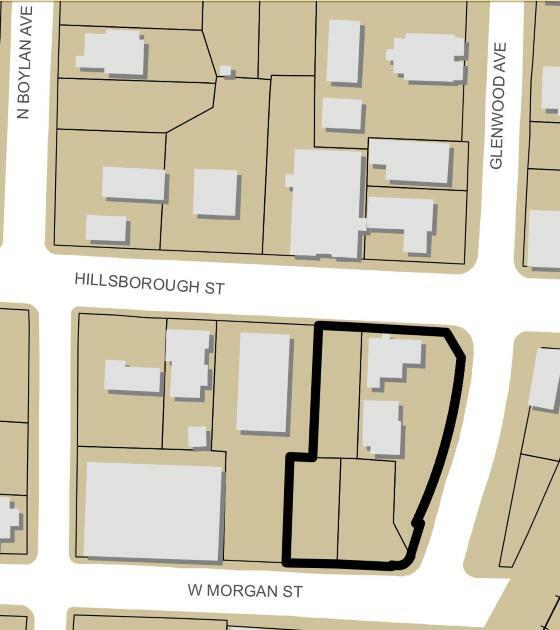 The connection between Warehouse District and Glenwood South stands for improvement but I don’t think owners of 1 Glenwood will be motivated to provide a connection for those who don’t have direct business with either the hotel/garage or the office building. I do know that if I were paying top dollar for office space I wouldn’t be all too happy with having to use a cross-walk while it’s pouring down rain. Certainly there must be some other plan here? I would be really surprised if the city give approval without “some” plans to add parking… Maybe the signed something or is getting a waver? 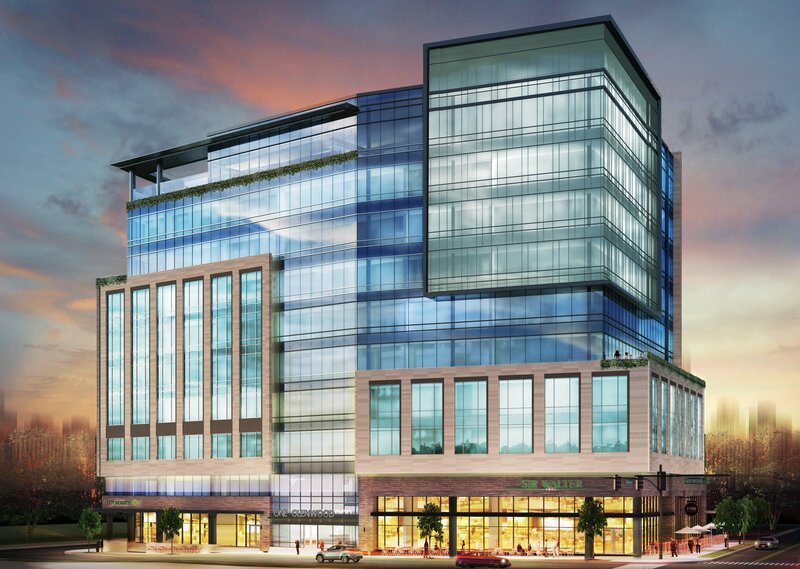 How awesome it could be to have a parking garage incorporated into this building…just my two cents…? Does any know of any updates for “Glenwood Place”? I haven’t heard anything about it in a long time. Are there still plans for it? A tunnel under Morgan to connect One Glenwood to the parking deck should be pretty doable given that most of Morgan there is built on fill and likely already supported with non-earthen bracing and shoring….never walked under the bridge to have a look though….might be a weekend jaunt. One of the original TTA light rail designs had Glenwood emptying directly into the rail station that was to span over Hargett from the now Citrix site to the Five Star block. Sorta glad that station plan never happened since it would have removed so much prime usable space. Anyway, I think its still plausible that a ramp down to Hargett to could be constructed but I doubt the City would encourage it since that would require some mods to the Morgan bridge. One Glenwood along with Smokey Hollow will make nice bookends to the greater Glenwood area. The skydeck/walkway to the parking deck will have to get NCDOT approval as that is state road and they do not approve of those unless it is for their buildings. (SECU) The plans do look great with top floor restaurant & at that elevation will stand out and change the area between GS and warehouse district. Nice looking building, but unlike Citrix, this should have parking built in and then they could say….Damn what a view! ? Morgan St west of Glenwood is a City street, not NCDOT, therefore a skydeck wouldn’t need NCDOT approval. Quick update. I’ve added a newer rendering to the bottom of the post. There are only slight changes but it is the latest. @Taco yes COR r/w up to intersection with Glenwood then NCDOT but skyway is gone anyway. DOT would have a say as they wouldn’t be able to maintain/replace bridges with skyway. COR wouldn’t allow as can’t access water/sewer mains unless skyway is high enough for access under. its a great site and will be great bridge between GS & warehouse. @Steve: Thanks for the link. That’s a really interesting and telling flyer for the transition area between the Warehouse and Glenwood South neighborhoods. It was a fun read. It was interesting to see the caveats that the owner of Legends are stipulating to be bought out. They are either super sincere about operating their nightclub in the warehouse district for the long haul or they are just playing hardball to get more money. …hard to tell? In the case of them staying in the district, it’s interesting to read what they are open to occupying a variety of types of spaces including space in a “building” that has a primary use as a garage, space on multiple floors or even basement space. It sounds like they are interested in a location where their neighbors are less likely to complain about noise. It sounds (no pun intended) like an interesting and strategic tactic. A Nov. 28th N&O article provides additional detail on developer’s plan to build a 150 room hotel at Shelton’s Furniture site (part of “One Glenwood” project). The hotel (planned for phase II) will be 7 stories and will wrap 800 space parking deck to be built during phase I.
I’m excited to see this still being talked about but hope this plan doesn’t turn into another “L-building” situation with a bare and unsightly parking deck remaining in view for an extended period. No more banners hung over cinder-block to hide unfinished work, thank you.